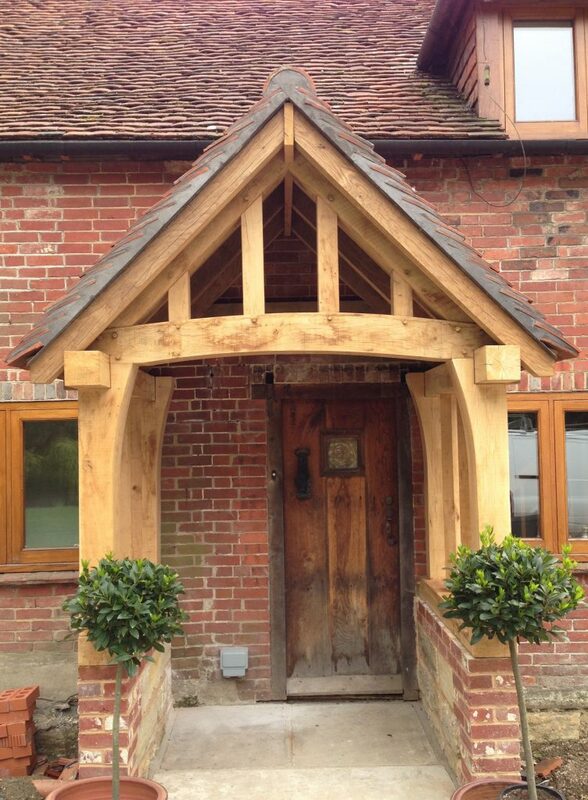 At Sussex Oak Framers we specialise in the design and build of structural timber frames for all purposes. In addition to this we also carry out structural restoration works to historic timber buildings. 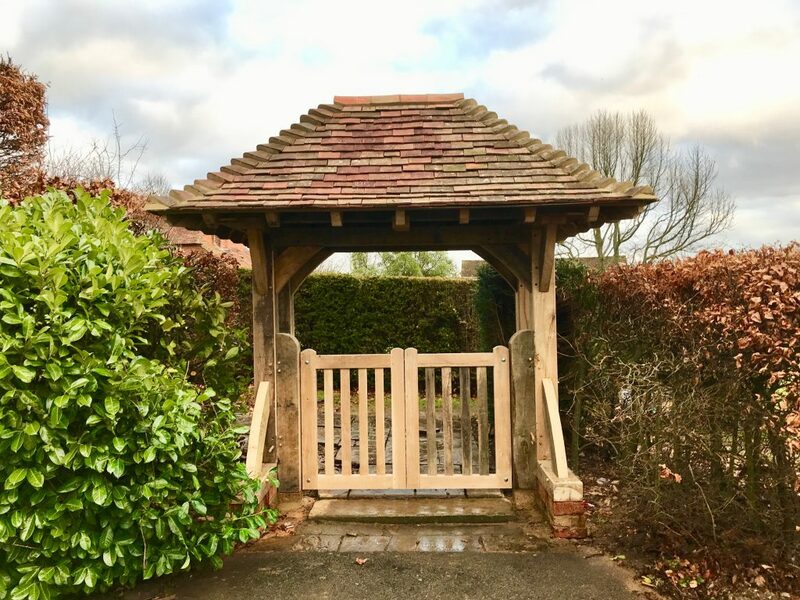 Having started business in the milling industry we have gained a wealth of knowledge in the selection and processing of large section timber posts and beams. We offer an architecture and structural engineer service but can also work alongside your chosen professional to produce the working drawings and calculations package for your project. Our frames can be customised to your exact requirements and are all built by hand in our Sussex workshop before being transported and erected on site. This process allows for the structural frame to be pre-prepared and ready for installation once the groundworks are complete, greatly reducing waiting times and delays between trades. 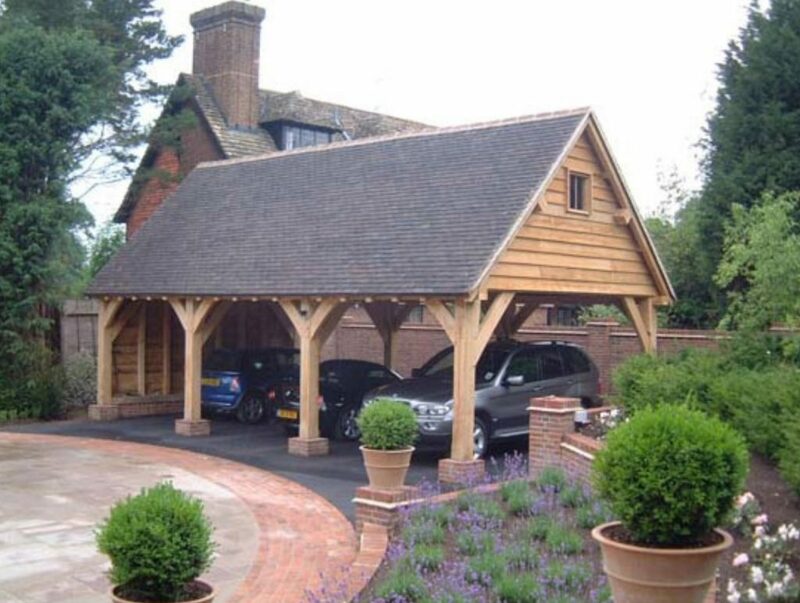 Your project may only require a detailed roof frame which can also be prepared off site. 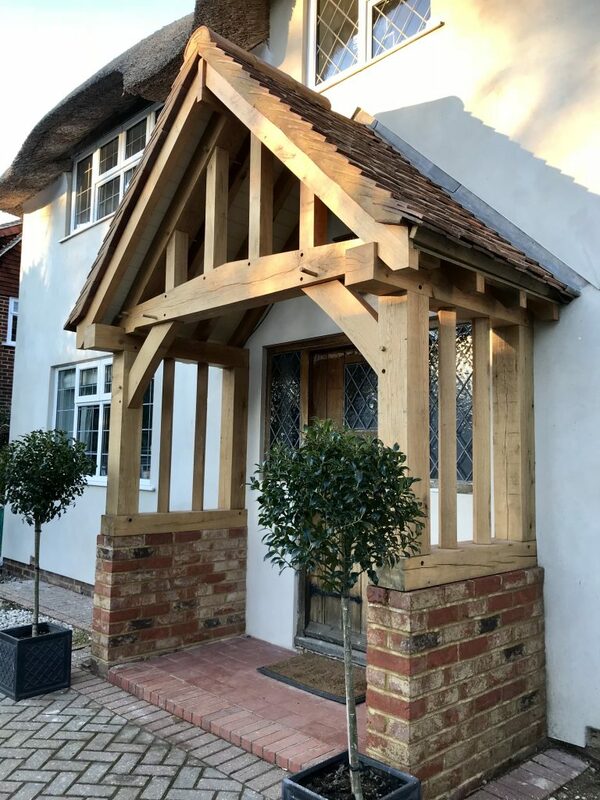 Whether it be a set of oak rafters or a fully trussed roof with purlins and dormers, they can be cut and numbered for you or your building contractor to quickly piece back together. 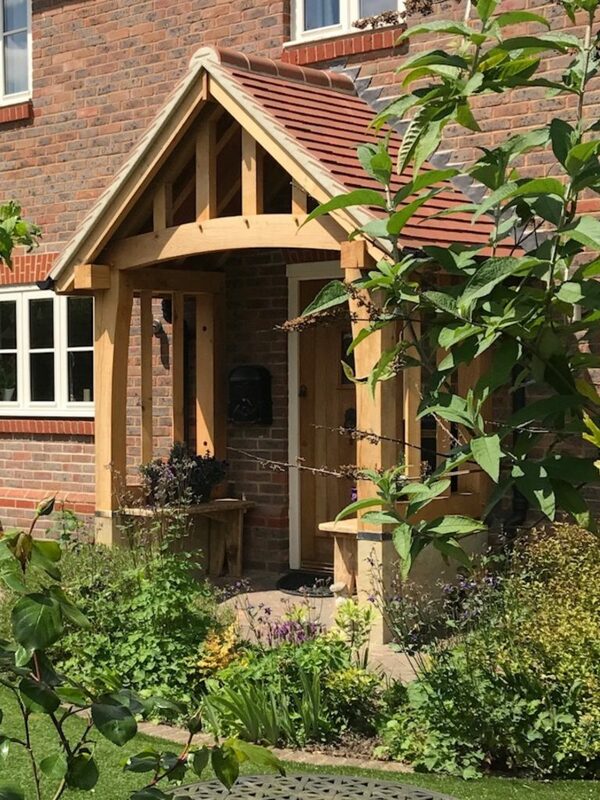 One of our most popular frames is our oak porch range which can add a beautiful new entrance to any property. Quick and simple to add to your home with only small scale groundworks and roof adjustments required. Please have a look through our portfolio and contact us with any questions you may have regarding your proposed project.